As a valued member of the IOCP, we are delighted to offer access to a bespoke insurance policy, exclusively available to members. 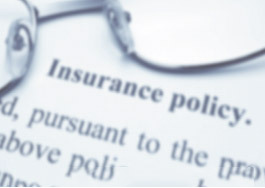 This explains in summary what is included in your policy, how it differs from other insurance products available and why it is so vital to a practicing Chiropodist, Podiatrist or Foot Health Practitioner to ensure you have the right insurance in place. Our dedicated insurance provides you with direct access to claim specialists experienced in dealing with medical insurance claims. Should there ever be the need to use them you will be supported throughout, with a dedicated claims handler and expert advice. Public Liability Insurance: This type of insurance would cover you if a patient or member of the public was to suffer a loss or injury and they made a claim for compensation against you. This could be a slip or trip in your premises resulting in injury or damage to their property. Public Liability cover is included as standard with an indemnity limit of £5,000,000. Legal Expenses Insurance: This type of insurance would cover you for any legal costs incurred during the defence of a claim. For example, it would help cover the appointment of solicitors, barristers and expert witnesses. Also included is access to a dedicated legal advice helpline, which can help you deal with disputes with suppliers, tax enquiries or problems with employees. Legal Expenses is included as standard with an indemnity limit of £100,000. Medical Malpractice Insurance: This type of insurance would cover you in the event of any potential negligence committed by you resulting in harm to a patient. Medical malpractice insurance covers you for such things as court costs, settlements and the award of damages. Medical Malpractice cover is included as standard with an indemnity limit of £5,000,000. Without Medical Malpractice cover, you could be held personally liable for any of these costs. Alternative insurance policies rarely include Medical Malpractice cover as standard, making the policy available to IOCP members so valuable. Includes: Foot Health Practitioner – including the treatment of cutting fingernails for patients who are unable to do this for themselves. Also includes cover for Aromatherapy and/or Reflexology (below the knee only) and/or Manicures and/or Pedicures. Includes: Chiropody / Podiatry, – including the treatment of cutting fingernails for patients who are unable to do this for themselves. Also includes cover for Complementary Treatments (including Aromatherapy and/or Reflexology and/or Acupuncture [below the knee only]) and/or Manicures and/or Pedicures and/or Cryotherapy. Includes: Chiropody / Podiatry, – including the treatment of cutting fingernails for patients who are unable to do this for themselves. Also includes cover for Complementary Treatments (including Aromatherapy and/or Reflexology and/or Acupuncture [below the knee only] and/or homeopathy/herbal remedies [lower limb only]) and/or Manicures and/or Pedicures and/or Cryotherapy and/or Laser Therapy. Includes: Chiropody / Podiatry, – including the treatment of cutting fingernails for patients who are unable to do this for themselves. Also includes cover for Complementary Treatments (including Aromatherapy and/or Reflexology and/or Acupuncture [up to and including the knee]) and/or homeopathy/herbal remedies [lower limb only]) and/or Manicures and/or Pedicures and/or Cryotherapy and/or Laser Therapy. Option Four includes cover for Local Anaesthesia by injection and/or Invasive Surgical Procedures and/or Prolotherapy/PRP Treatment (also known as Vampire Treatment) and/or Vesalius Bladion Molecular Resonance Generator Surgery Devices and/or Prescription Only Medicines and/or Antibiotic Administration and/or Injection Therapy (including Prescription Only Medicines) and/or Diagnostic Ultrasound and/or Cryoanalgesia Treatment and/or Dermal Filler Injections and/or Joint Mobilisation Techniques (up to and including the knee joint). For further details please contact head office. NOTE: When obtaining a quotation for insurance, or requesting cover under an existing policy, you are required to make a fair presentation of the risk to insurers which discloses every material circumstance which you know or ought to know relating to the risk to be insured. A circumstance is material if it would influence the judgment of a prudent insurer in determining whether to provide insurance for the risk and, if so, on what terms. Disclosure must be reasonably clear and accessible to a prudent insurer and made in good faith. The aforementioned duty of disclosure is the applicable duty under the laws of England and Wales. The current panel is made up of 4 members, each of whom have a wealth of experience in podiatry. The role of the panel is wide-reaching. Its primary purpose is that of being an approachable source of definitive, current, evidence based best-practice advice to institute members on the safety and efficacy of the medicines and procedures that are currently utilised or proposed to be introduced by our members. Additionally, the panel is a source of expertise and professional advice concerning podiatric medicines utilisation and procedures to the area of wider healthcare and medicine, as well as responding to requests for advice and assistance from statutory bodies such as the Medicines and Healthcare Products Regulation Agency (MHRA) and others such as the media. Any member may request current advice or guidance on specific medicines and procedures matters by contacting the panel via head office. Andrew Williams, fulfils the role of Chair. Andrew has a substantive NHS consultant podiatrist post at the Royal Liverpool Hospital in musculoskeletal practice. His specialist interests include biomechanics of the lower limb, injection therapy and diagnostic ultrasound. Additionally Andrew has a consultant role at Cheshire Spire Hospital. A recently appointed consultant fellow of the Institute he brings substantial experience in both the NHS and private sectors to the role of Chair of the Medicines and Procedures committee. Abid Ali is a specialist musculoskeletal triage podiatrist in the NHS he is also clinical director of the Biomechanix clinic in Warwick. His specialist interests include injection therapies, orthotic prescription, ultrasound, sports injuries and paediatric gait anomalies. He is an experienced lecturer who regularly shares his wide knowledge with branches and national meetings. He is also a consultant fellow of the Institute. Somuz Miah, has an extended-scope primary care practice in Birmingham and also is a consultant at the Warwick Biomechanix clinic. Somuz is a podiatrist independent prescriber and has substantial experience in various pharmaceutical therapies, by injection, topical or oral routes for a variety of podiatric pathologies. Somuz has recently taken on the role of acting Treasurer for the current IOCP executive board. He is also a consultant fellow of the Institute. Martin Harvey, has an extended-scope podiatry practice in a multi-discipline NHS primary care healthcare centre in Tamworth, Staffordshire. Additionally at this location Martin provides a triage service for local physicians for suspect skin cancers, before decisions are taken as to appropriate secondary care referral pathways. Martin is a podiatrist independent prescriber and also teaches injection therapies for the lower limb to podiatrists, medical doctors and nurses, both in the UK and overseas. Martin also has admitting and out-patient consultant privileges at the Priory Hospital in Birmingham and the Edgbaston Hospital Birmingham. The Ethics committee. This is a detached board of the national executive committee that operates in confidence under the leadership of an elected Director of the national executive. All members are elected officials of the national executive and bound by a strict confidentiality agreement. Matters that come within the purview of the committee are not shared externally to other board members or other members. A confidential secretary role to the committee is fulfilled by the most senior employee of the IOCP, the company Secretary, who is likewise bound by the confidentiality requirements of the committee. The committee meets quarterly as well as being directly approachable at other times for advice by members with ethics concerns. It is non-judgmental and has access to confidential independent legal advice on matters which affect members fitness to practice or similar factors. It is not a general legal advice facility for any subjects outside ethical matters. Members wishing to submit matters to the committee should in the first instance contact the IOCP Company Secretary, Jill Burnett- Hurst, in confidence by phone or letter for guidance on how to proceed. Regional networking. All members of the Institute are allocated to a geographical region, ie. North West, Midlands etc. Each region has an area council who elect a representative, who then goes forward as an appointed Director to the Executive Board of the IOCP. This means that local and regional events can be organised that range from social gatherings to local or regional education events encompassing speakers from across the whole spectrum of medicine and podiatric medicine. This unique involvement of local members in the national stance and direction of the IOCP has been its cornerstone for more than 6 decades and in today’s ever more challenging professional arena means that IOCP members can, and do, influence matters of importance to the whole profession of Podiatry.